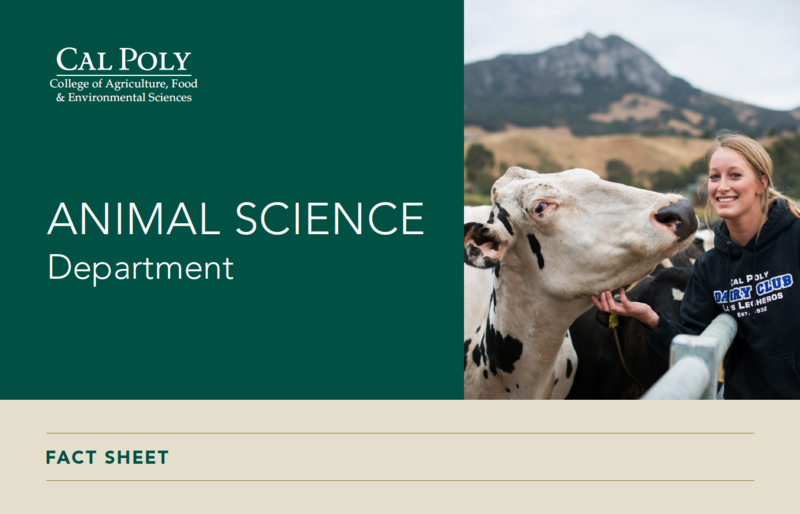 Cal Poly Animal Science boasts one of the most comprehensive hands-on programs in the nation and is known as a national leader of undergraduate training in animal nutrition and reproductive physiology. Nearly half of our alumni go on to veterinary or graduate school, while other graduates go into careers in animal biotechnology, animal facility management and feed manufacturing for prestigious companies like Cargill, Inc., Mars, Inc., Leprino Foods or in the pharmaceutical arena with companies such as Eli Lilly, Pfizer and Bayer. Learn by Doing isn’t just a motto. 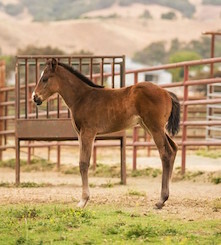 Our students gain experience foaling horses, breeding cows, raising broiler chickens and quail, riding and training horses, running a vet clinic and much more. Undergraduates are doing research in our biotechnology labs and performing tests in animal nutrition and husbandry. More than twenty hands-on courses, called enterprise classes, help create a dynamic learning curriculum designed for flexibility so students can mold their educational experience to best fit their interests and career goals. Cal Poly’s intensive hands-on learning environment, including enterprise projects, animal unit management and undergraduate research opportunities, gave me a strong foundation of knowledge and experience that has truly paid off in the workplace.